pizza sauce | Cooking is Fun … Really!! 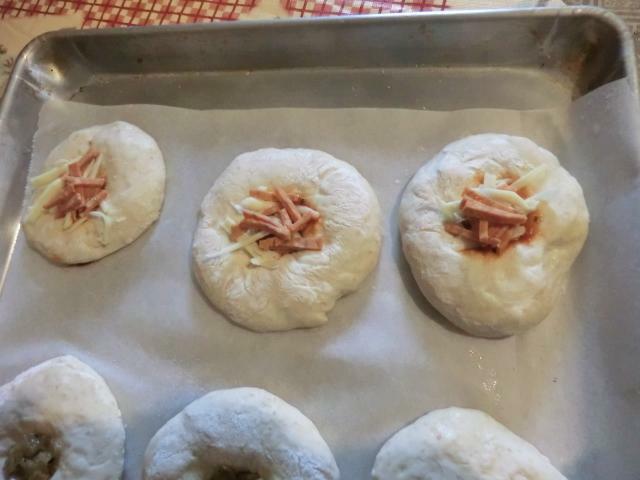 The bialy is a small roll that, according to Wikipedia, is found in Polish and Ashkenazi Polish culture. It has many similarities to a bagel. Although it isn’t boiled after proofing, just baked, it still retains the dense chewiness and flavour found in that ubiquitous bread product. I had planned on making the usual yeast based version but recently ran across a small jar of sourdough starter at the back of my fridge. I saw the layer of hooch on top, because I hadn’t fed it since the end of October, and decided to revive it. 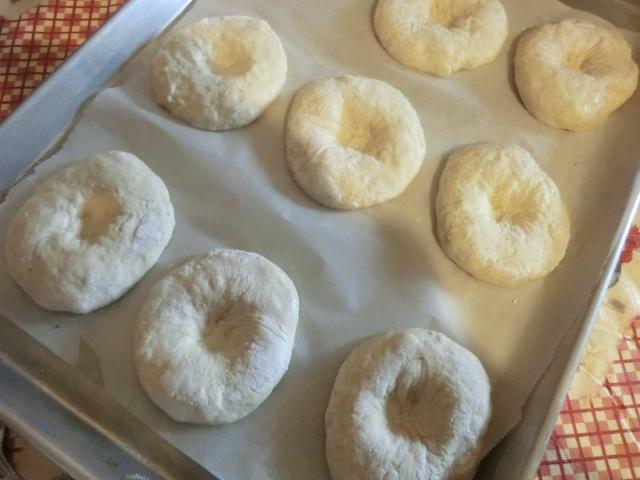 I should have taken a day or two to bring it back but, nine hours after feeding it with a mixture of whole wheat and all purpose flour, it had doubled in volume, so I used the recipe found on the “Sourdough and Olives” website, and made a small batch of bialys. For a topping I used some leftover sauteed onions mixed with a bit of olive oil, salt and freshly ground black pepper. 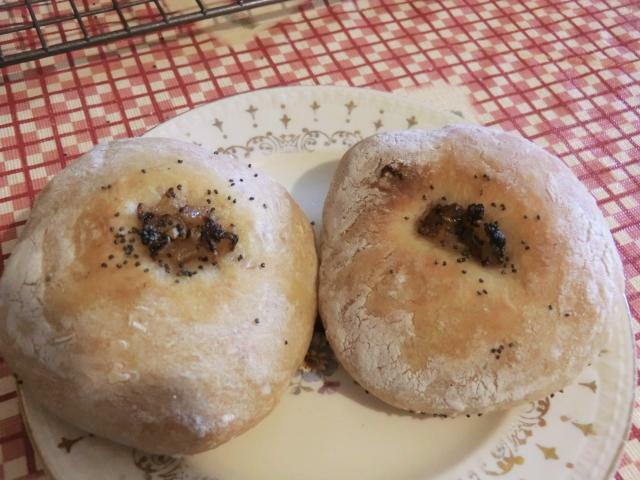 A sprinkling of poppy seeds over the top, and I had a traditional bialy. 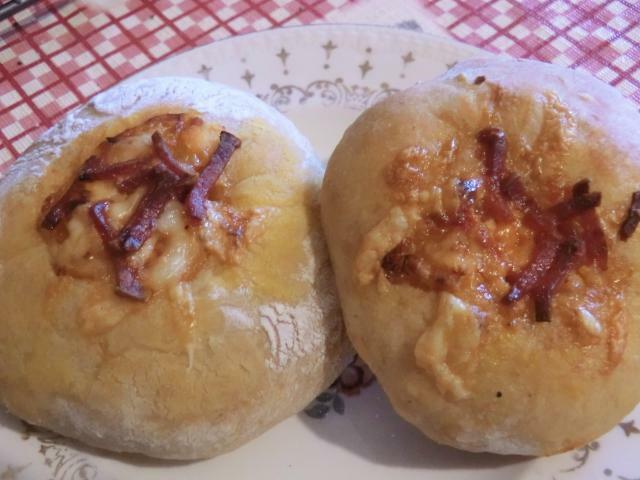 When I ran out of topping for the last few bialys, I used a mixture of pizza sauce, grated mozzarella and julienned pepperoni sausage and made a tasty pizza bialy. 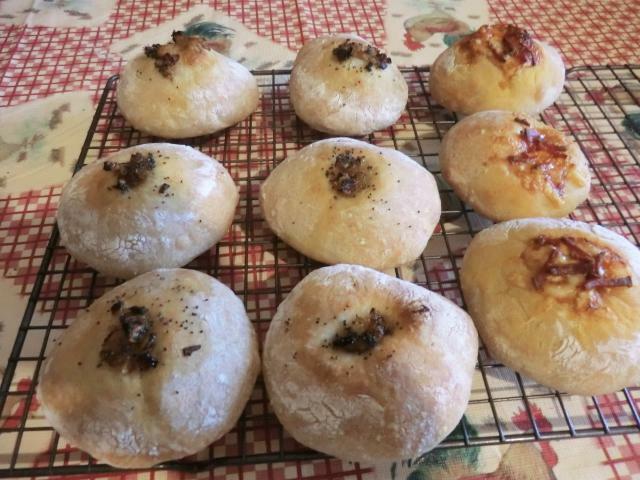 REVIEW: In spite of the less than optimal conditions for making these, including a starter that wasn’t as active as I would have liked, the results were delicious. 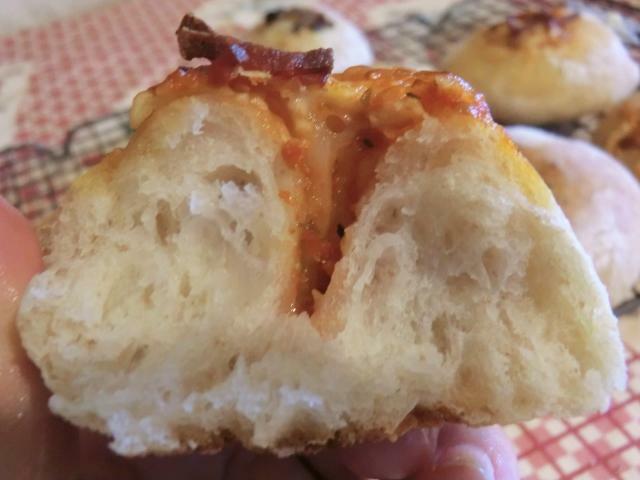 The crust was thin and crunchy while the interior was chewy. The oven spring (baked at 480 deg F for 22 min) was amazing and I ended up with little volcanoes rather than the little frisbees I was expecting (hoping for). 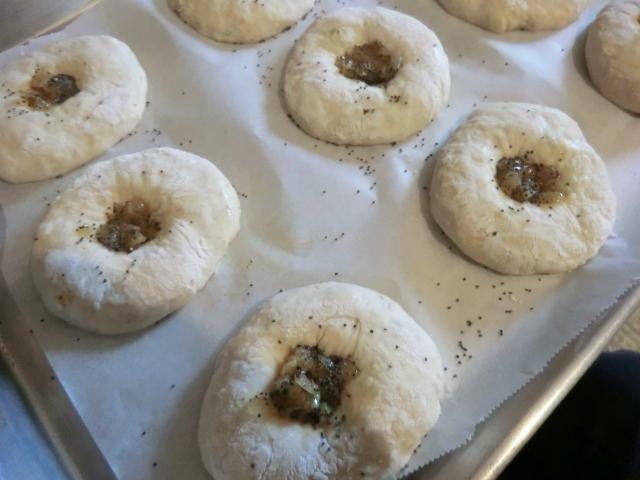 I would consider reducing the baking temperature on repeating the recipe or even use a fix that I found on another site … placing a sheet of parchment paper on top of the bialys and then covering with a second baking sheet to compress the rise for the first ten minutes of baking before continuing to bake them, uncovered for another ten to fifteen minutes.